I. Will President Obama wield a U.N. veto over France's proposal to recognize a Palestinian State? Is Isaiah 34:12 about to be fulfilled? II. The United States is no longer a friend and trusted ally for Israel. White House is considering the sale of the advanced hardware to Saudi Arabia reserved only for Israel. III. ISIS threatens to "slaughter" Mohammed cartoon organizer, Pamela Geller. Difference between Islam and Christianity: Islam murders their opponents for very slight offenses, while Christians pray for their enemies. "US President Barack Obama as told associates that he intends to veto the French proposal for a UN Security Council resolution mandating the creation of a Palestinian state and an Israeli withdrawal from the West Bank within two years ... French Foreign Minister Laurent Fabius said this past March that Paris planned to start discussions with partners in the 'coming weeks' on a United Nations Security Council resolution to lay out the parameters for ending the Middle East conflict." The White House is most definitely "reassessing" American relations with Israel because Conservative PM Netanyahu won reelection, over the opposition of the President. For the first time since Israel miraculously became a nation after 1,900 years in dispersion, the United States of America is examining the possibility that we might pull back from unconditional support of the only democracy in the Middle East! This change in America's support of Israel could cause a severe retribution against us from God. There is a direct correlation between the alarming number of massive disasters striking America and her leaders pressuring Israel to surrender her land for 'peace.' Costing hundreds of lives and causing hundreds of billions of dollars' worth of damage, dozens of disasters, including devastating earthquakes, raging fires, hurricanes, floods, tsunamis, and tornadoes, have hit America and usually within twenty-four hours of putting pressure on Israel. 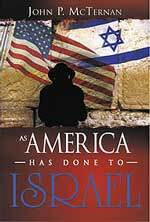 This book, "As America Has Done To Israel", provides the reader with the eye-opening realization that God is serious about physically punishing those nations who have turned their backs on Israel. The Amplified Commentary renders this verse: "They shall call its nobles to proclaim the kingdom, but nothing shall be there, and all its princes shall be no more." The international proposal to grant the Palestinians their own state, carved out of the Holy Land of Israel, is not a new idea. 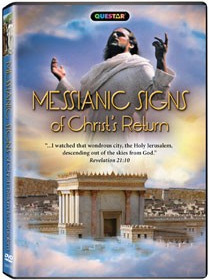 God warned, 2,600 years ago, in Joel 3:2, that such an event would be proposed. The people who have scattered Jewish "among the nations" start with the Romans in 70 A.D. and 135 A.D. and extend to so many different countries over the next 1,900 years, it would take pages to list them all. But, God has said that He will bring the modern-day descendants of these countries into the Valley of Jehoshaphat at the End of the Age in order to avenge the various scattering of the Jews throughout these 1,900 years. But, of great interest to this subject is the last reason God gives for pouring out judgment: "they have divided My land." 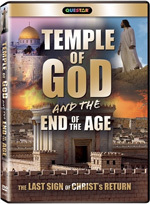 When you hear this proclamation of a Palestinian State, know that Bible prophecy has been fulfilled, know that nothing will come of it, and know that the final annihilating war of the House of Edom, the Palestinians, is close at hand. 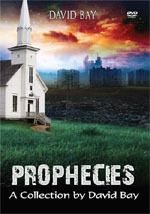 What will really happen is that Israel will soon carry out the prophesied annihilation of all Palestinians, in fulfillment of Obadiah 15-18 and Isaiah 34, just as our DVD, "Israel's Prophesied Annihilation of the Palestinians" explains. NOTE: This News Alert continues following the product advertisement, below. II. United States is no longer a friend and trusted ally for Israel. 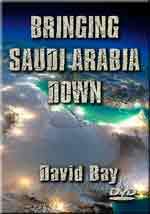 "In an effort to allay the concerns of Gulf States regarding American commitment to their security, US President Barack Obama may be preparing to sell key ally Saudi Arabia weapons that had been previously made available only to Israel ... the Obama administration is weighing whether to offer Riyadh GBU-28 bunker-buster bombs to mitigate concerns over the looming nuclear deal with Iran." This new "bunker busting bomb" is not the only advanced weapons systems being contemplated to sell to Israel's Arab enemies. "Other military equipment sales under consideration include Kuwait’s proposed purchase of 28 Boeing Co. F/A-18E/F Super Hornet advanced fighter jets ... Lockheed’s new top-flight F-35 fighter jet to the Gulf States ..."
Since 2008, the United States has been under a Congressional mandate to ensure Israel's technological superiority. These weapons systems would violate that mandate and set up a confrontation between the White House and the Congress. But, honestly, what do we expect from an Islamic-leaning President? Prophetic War Drums Are Coming Alive! 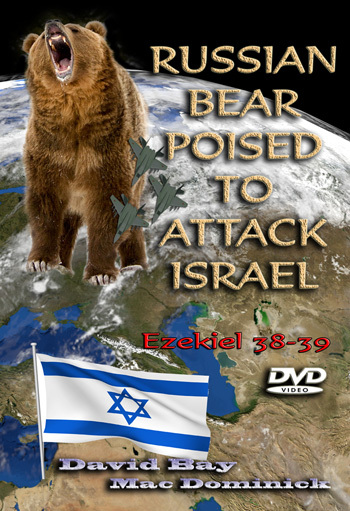 "Russian Bear Poised To Attack Israel: Ezekiel 38-39"
The Prophet Ezekiel foretold of a time at the End of the Age when Russia would lead a confederation of armies in an attack on Israel. The imagery of such an attack is stupendous and has excited people all through the ages. Imagine! A vast army led by the largest country on Earth converging upon the smallest nation on Earth, and joined by some very formidable foreign troops, and still Israel wins this one-battle war. Actually, God wins the battle and annihilates both the troops in the field and the countries which sent them. Today, the countries listed by Ezekiel 38-39 as joining in this formidable war have already coming together in alliance and are led by virulently anti-Israel leaders. 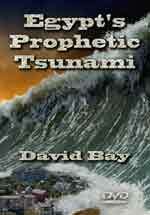 The countries, the leaders, and the weaponry are all in place, awaiting only the SUPERNATURAL call to battle. As these nations are awaiting the summons to march toward Israel, they are protected by Ezekiel 38-39 right now from any destruction or 'regime change'. Truly, the world stands at the precipice of the End of the Age. 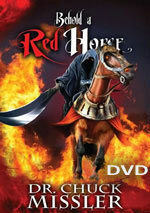 While there will be NO Israeli or American attack on Iran, these 'Rumors of Wars' serve a very useful purpose as the Illuminati seeks to manipulate events in the world to her advantage so she can ultimately stage her Masonic Christ (Antichrist). Difference between Islam and Christianity: Islam savagely murders their opponents for very slight offenses, while Christians pray for their enemies. This last phrase tells you all you need to know about the true inner heart of Islam. They are so full of irrational rage that they bully and threaten "infidels" over very minor issues. Do you remember Iranian author Salman Rushdie? He was sentenced to die by an Iranian Ayatollah because his major theme in his book, 'The Satanic Verses', is that virtually the entire population of Muslims is demon possessed. Given the incredible hatred of all Muslims toward the Jew and toward all "infidels", I am inclined to believe Rushdie may have been correct. One Jewish activist recently stated that she had learned a lot by comparing the way people opposed her radical ideas. She said Christians told her they would pray for her, while Muslims threatened to kill her! Jesus would be proud of all Christians who pray for their enemies. 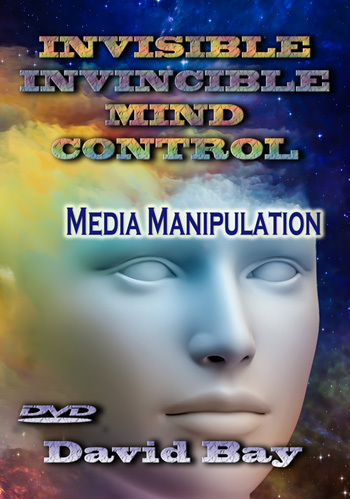 Dynamic New DVD - by Cutting Edge Films"Invisible, Invincible Mind Control - YOU Are Targeted"
You will be shocked to learn how totally bombarded with Change Agents you and your loved ones are every day. This crisis is all the more sinister because it is invisible to those who have already become captive to its lie. How did we get to this point? Over the next hour, we will demonstrate a Six-Step Process by which people's attitudes are being changed permanently on a population-wide basis. This process was developed to change those most-deeply held attitudes, which naturally are traditional Christian values. Once you hear this process, and understand the examples of its use, you will realize it is being simultaneously utilized in many areas by the Mass Media. Even more ominous is the reality that, once a person's attitudes and/or values are changed by this method, they will not realize they have been changed by external forces. Rather, they will believe they have arrived at this new set of values on their own and they will defend against any attempt to change back to the old values and/or attitudes. You must protect against these change-forces from the beginning or you can lose your children. We identify the Change Agents and show you how to defend yourself and your precious children. 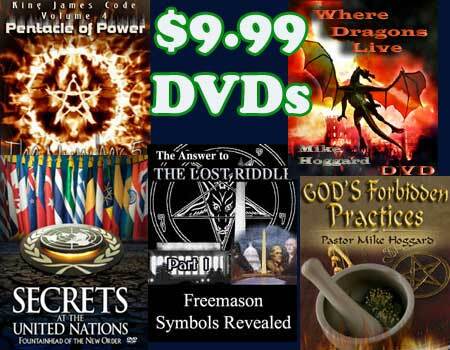 "Wheeler Three Volumes of Illuminati Monarch Programming Mind Control"
Training Manual Volumes 1, 2 and 3, for a very special price, saving $180 over buying all three separately as books. 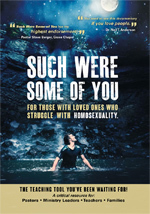 This digital version comes to you on 1 CD in Adobe Acrobat PDF format and can be read on your computer screen or pages can be printed. The volumes are encrypted and password protected. Cisco Wheeler's father was a high-level Illuminist Wizard, and put Cisco through this entire Mind Control training. Later, Cisco would train others. 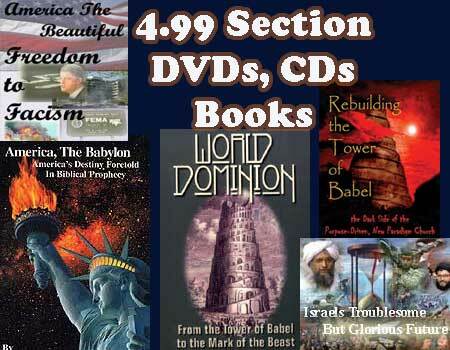 These three volumes are THE definitive explanation of Illuminati Mind Control, and will answer many of your questions as to what is possible with individuals and with entire populations. 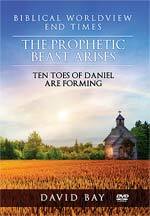 After reading these volumes you will see how Biblical prophecy about the entire population rushing to worship and serve Antichrist, as foretold in the Book of Revelation will be fulfilled. Volume 1 is entitled, 'They Know Not What They Do' explains and exposes the methodologies and horrors of Monarch trauma- based mind control. In this book we see a series of colored collages and explanations which describe the inner worlds of mind control victim. Volume 2, entitled, 'Illuminati Formula To Create Undetectable Mind Control Slave' explains in detail how the Monarch trauma based mind control system is set-up and layered into a victim. Volume 3, entitled, 'Deeper Insights Into Illuminati Formula', presents more in-depth and detailed insights into trauma based mind control as well as methods for deprogramming and therapy. Iran Is Conquering The Entire Middle East: Last Stop Israel! Iran's prophetic participation in the Russian-led invasion of Israel (Ezekiel 38-39) takes on a deeper understanding once we comprehend Iran's preparations currently underway.